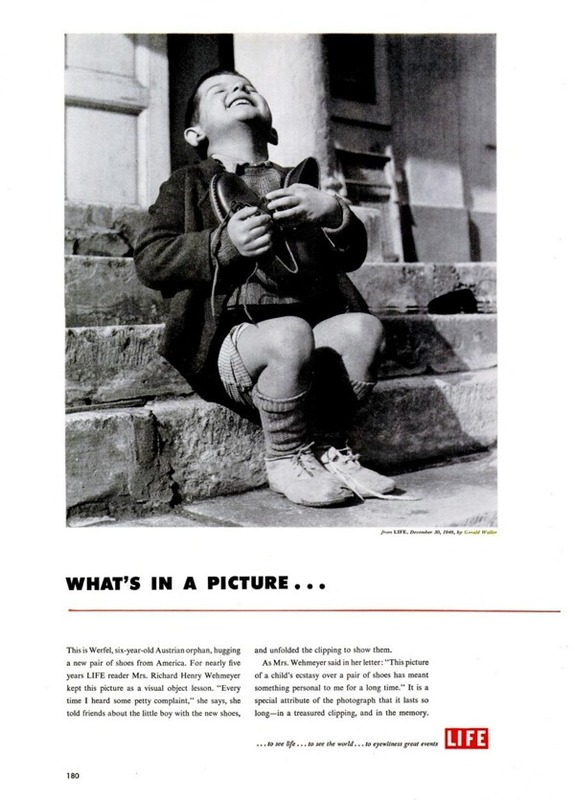 Werfel, a 6-year old Austrian orphan, beams with unbounded joy as he clasps a new pair of shoes presented to him by the American Red Cross. This is Werfel, six-year-old Austrian orphan, hugging a new pair of shoes from America. For nearly five years LIFE reader Mrs. Richard Henry Wehmeyer kept this picture as a visual object lesson. "Every time I heard some petty complaint," she says, she told friends about the little boy with the new shoes, un unfolded the clipping to shoe them. 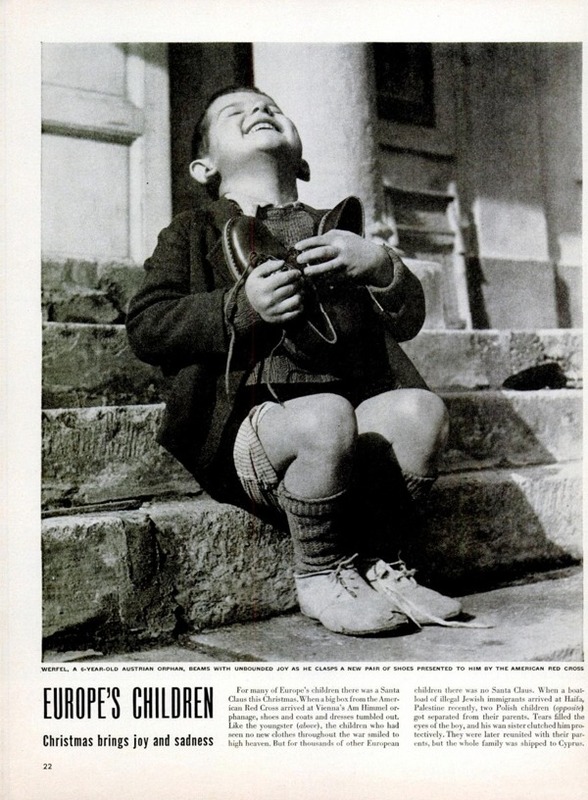 As Mrs. Wehmeyer said in her letter "This picture of a child's ecstasy over a pair of shoes has meant something personal to me for a long time." It is a special attribute of the photograph that it lasts so long - in a treasured clipping, and in the memory. 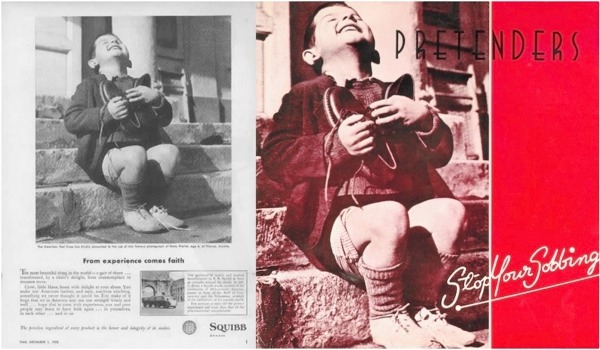 Since then, the photograph has been used both in & out of context; Squibb & Sons (1952) exploited it to make clear their products - like American aids - go around the world to heal and preserve; the Pretenders (1979) used it - without credit - for their debut single "Stop Your Sobbing", a weak rendition of a Kinks song from 1964. 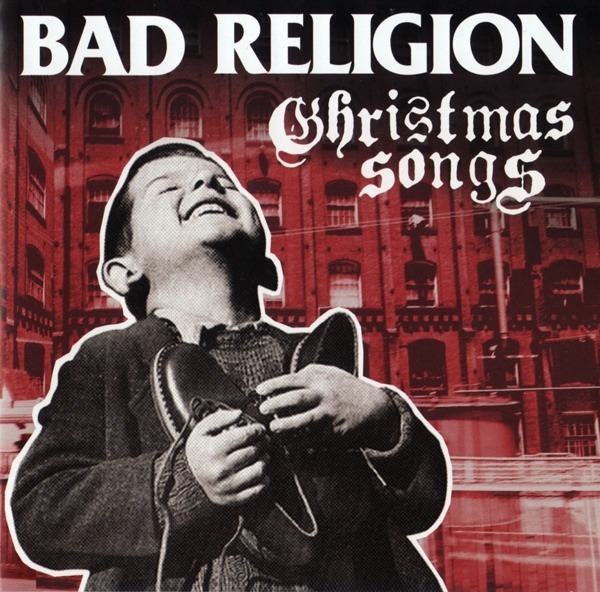 And finally, Bad Religion altogether restored the photograph's meaning (fully credited) - with their bizarre yet amusing "Christmas Songs", 2013.